This cottage was tucked away in the heart of duval. It was an amazing retreat. It was quiet and convenient to everything. I will be booking another stay soon. The staff at rent key west was extremely helpful and gave us all the resources we needed. I couldn't ask for anything more than the best! What you see is what you get. Amazing location but so private and quiet. This rental was a perfect location! Close to the north end of Duval, everything was just a short walk away! The unit was bright and clean and perfect for a romantic getaway! Would rent repeatedly! The rental company was friendly and so easy to work with! What a wonderful rental property! Location was awesome! Perfect size and fantastic staff and service. The cottage was great, clean and quiet, 2 bathrooms, lovely little private patio. Thank you for your wonderful review! We are very happy to hear that you enjoyed your stay at the cottage. We look forward to seeing you again! Outstanding! The entire process, from reservation, to check-in, to staying in the cottage, were exceptional. The location is close to everything but we still felt distant from the noise when we wanted to be. We have stayed at this property twice and there are some maintenance issues that have not been addressed. Sink facet is loose, towel rack falls off, air conditioner malfunctioned and pool is not cleaned of leaves. Overall the property is a nice place to stay. We have stayed at the Ann Street Cottage several times over the years. It is in a great location, close to just about everything. It feels like home to us. Comfortable bed, well stocked full kitchen, two bathrooms, and several little things that make the stay enjoyable. Although it is very close to all the action on Duval Street, it is quiet inside the compound. We highly recommend this quaint little cottage. We absolutely loved Ann Street Cottage. SO close to the fun of Duval Street and the sunset at Mallory Square, but so quiet and secluded. We didn't see anyone in the complex other than someone cleaning the pool. The cottage had everything we needed!! We were in town to see the Avett Brothers in concert at the ampitheater and there were even folding chairs for us to use! I will absolutely stay there again and highly recommend it to any couple just needing a getaway like we did!! Spent 10 days at Anne Street Cottage. Second time here. Great location, beautiful grounds and very quiet. Kitchen has been upgraded since last visit. Nice having 1/1/2 baths. Bright and comfortable. This turned out to be one of our most relaxing vacations ever. The property location was extremely close to all the action and many eating & drinking establishments. Due to dietary restrictions, I don't like to eat out much. The kitchen was essential! 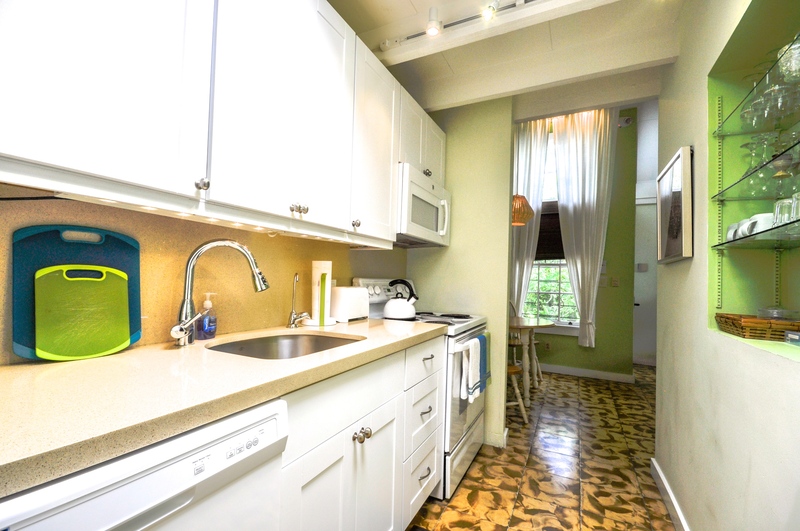 Although small (galley like), it was very well equipped for a rental property. We had no problem w/ cooking, although counter space was limited. I do find that knives in these places need to be sharpened more frequently...this one included. Management company was helpful in first couple of days to negotiate some minor issues. I probably could have handled myself, but did not want to be bothered given that I was on vacation. But all issues resolved almost immediately. Pool was nice, especially since we only saw a couple using it for the short time they were there. Basically had it to ourselves. Only thing we did not like was the enclosed patio. It seemed aittle damp and the umbrella had an algae growing on it. It just made it seem dirty. We used it only the first night, but really did not want to go out on it. Fortunately, we had the pool and could use it for our cocktail hour. Property was very secure. We brought our own bike with us and had absolutely no worries about keeping them locked up outside our unit, since the units are within the confines of a locked gate. All that was described in property listing was very accurate. We felt that the value was very fair for what we wanted. Final note, The Stoned Crab on Roosevelt Blvd and the adjoining little fish market were outstanding. Lunched on stone crabs at restaurant one afternoon, and bought the freshest fish we had ever eaten from fish mkt/stand for 6 of our dinners. Expensive....but what isn't in KW? The pictures are exactly what you experience. The location was the best, your around everything you need. I would definitely go back. Loved the location of Ann Street Cottage. Close to all the action, but quiet and private. Very secure feeling. Grounds were beautiful. Cottage was so cute. The only complaint would be the mattress. Definitely needs replacing. We rented a car on our trip and learned that parking can be very difficult. Next time, we will not be renting a car as everything is within walking distance of the cottage. My wife and I stayed at Ann Cottage for a week. The accommodations were bright, clean, and very close to Duval Street. The bed was very comfortable as was the living room. The grounds outside the unit were lush and the pool was very close. Close to down town Deval and watch the sun set. So enjoyable to be located in the middle of town and yet be so secluded. Unit was very clean, well stocked and quiet. Secure entry gates and unit entry. A great time! Will be back! We absolutely loved our stay at Ann Street Cottage. The property was exactly as shown in the photos. It was spotless, comfortable and so much attention to detail which made our holiday stay a pleasure. The location is central to everything and yet away from the madding crowd. Air conditioner was very quiet and effective. Tropical garden and pool was a delight....couldn't fault the place. Rent Key West Vacations were a pleasure to deal with and I would highly recommend this company. Very nice place in a great location. Very secluded but close to everything. We walked everywhere. We enjoyed our stay here. It's a GREAT location that puts you within walking distance of all the fun to be had in Key West. This is a great place to stay for a couple looking to get away. Even though you are 1 block off Duval Street, it is very quiet when you are inside the cottage. The only complaint that I have at all is the furniture in the living room is not very comfortable. It reminded me of the furniture in a doctors office waiting room. Other than that, we had a wonderful time and will return again! Ann Street cottage was perfect and better than expected. Location could not have been more convenient. Manager provided good customer service. We highly reccomend this cottage. A Gem of a Hideaway so Convenient to Everything! 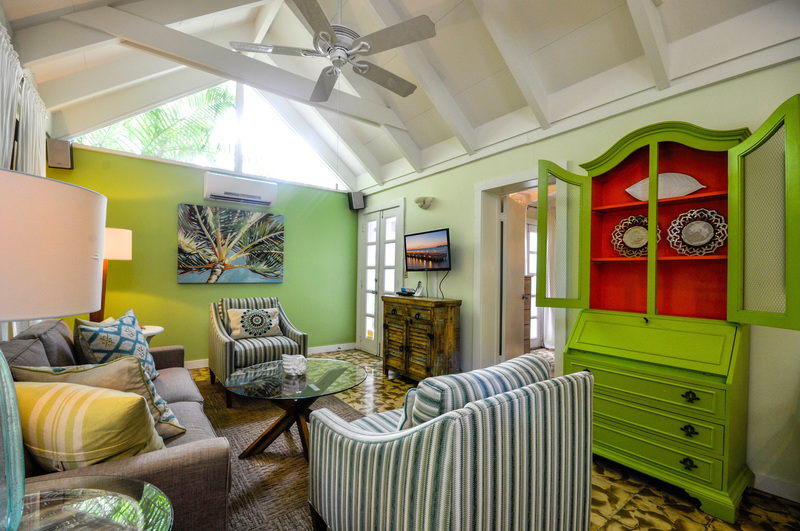 A perfect little cottage in an over-the-top tropical garden and one block from all the action of Duval Street. What more can one hope for on a Key West vacation? The cottage was impeccable; clean, well appointed, and nicely decorated. The unheated pool was lovely to look at but too cold to go swimming. (The only negative about the place:( ) We had a wonderful time and would definitely return to that little bit of heaven! This place was perfect for my husband and myself! Size of the place is perfect for 1 or 2 people. Well maintained. Private pool shared by the other 3 adjoining cottages. But we were lucky to have the pool all to ourselves! The location could not have been more perfect as well. Will definitely stay here again. We loved Ann St Cottage and will recommend to all our friends. Bathroom needs some minor repairs (woodwork beginning to rot from moisture), other than that bathroom was very clean. There’s a shared patio between properties, drapes on door leading to the patio would be nice as there is a direct line of sight into adjacent unit while sitting in Anne St’s living room. Delighted with Ann Street Cottage! Property was perfect for 1/2 people and in a fabulous,quiet location! Easy walking to almost anywhere one wants to go, but property is well secluded in a lovely quiet garden center. Cottage was in perfect condition and clean. Pool was lovely, but too cold for swimming as was the ocean water also. Easy walk to a few beaches. Definitely would recommend! The cottage was as described and excellently located. Key West Vacations was responsive and good to work with. I would use them in the future and would also return to the cottage. My husband and I were hoping for a honeymoon redo and since we had never been to Key West, we decided to go there. When we got to the island, our check in process was very easy. Ann Street Cottage is adorable and it looks just like the pictures online. We wish it had a bathtub, but other than that the cottage was great. The kitchen is well stocked, the bed is comfortable, and it's perfect for 2 people. We ended up not liking our stay, but it had nothing to do with our cottage. We just don't party enough for Key West and we wanted more/better beaches. We would recommend Ann Street Cottage and this rental company for sure. We have been vacationing in Key West for 30 years. We typically stay at bed and breakfast accommodations. This is the first time we tried a private cottage and we were very impressed. 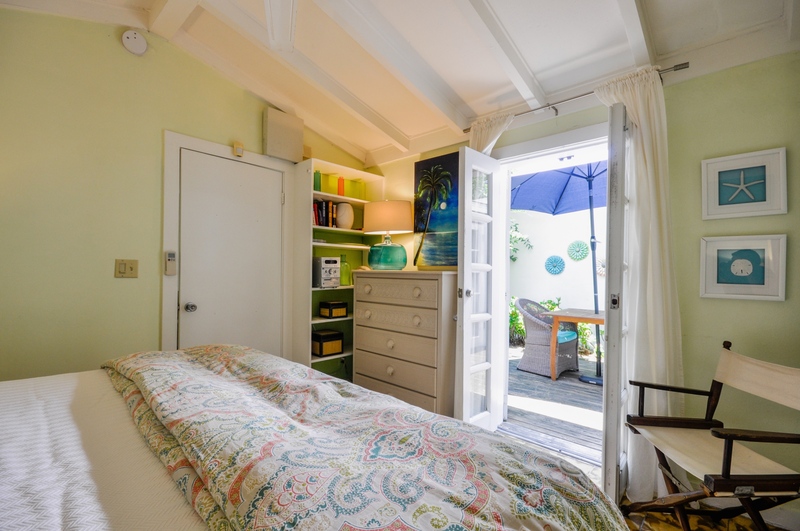 The Ann Street Cottage is a great little hideaway yet right down in the think of things. The compound is private and very nice. The cottage itself was great. We loved it. For my wife's 50th birthday she wanted to be in Key West and we landed at the Ann Street Cottage. What a perfect place to relax and be right in the middle of all the activities of Duvall Street. We rented a scooter and went to Ft. Zachary Taylor beach every day. This is the best beach on the island for senic and snorkeling purposes. Take water shoes as it is a bit rocky but wonderful. We were very happy with this choice. Clean, great colors, private yet in the heart of all the action. 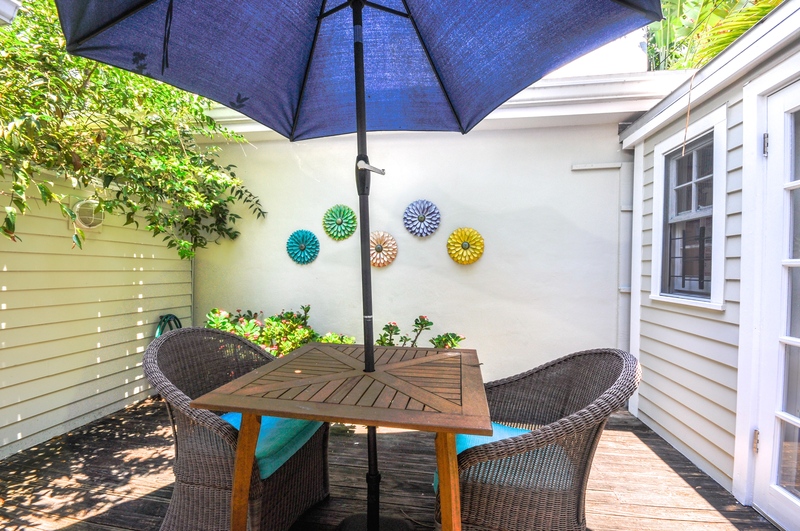 Ann St Cottage is beautifully decorated and in a great location! We can't wait to return! If you want to stay toward Sloppy Joe's area on Duval Street, then this is an excellent place to stay. It was very quiet in spite of the proximity to Duval but an easy walk to shops and the bars, stores and business on Duval. We spent a week at Ann Street Cottage and had a blast. The cottage was clean and looks even better than the photos. 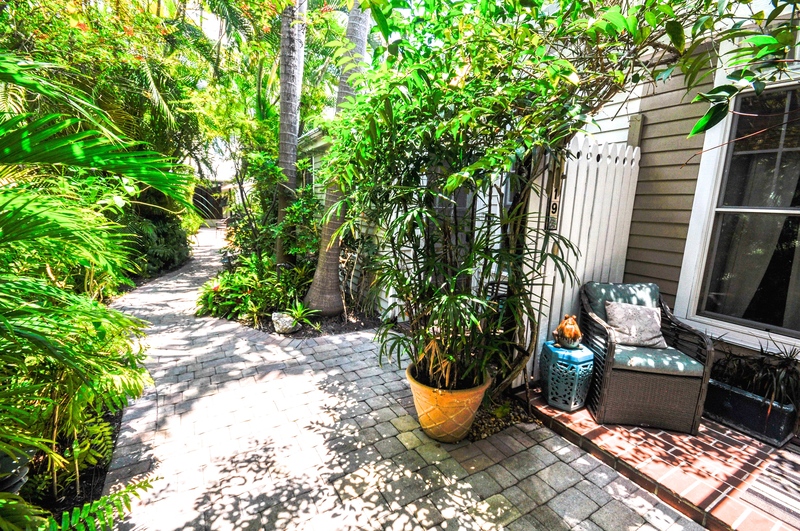 Despite being so close to Duval Street, the property was very quiet and is it's own oasis. The property is well located for walking or riding bikes too. We are already planning our next trip back! We enjoyed our stay in the Ann St. Cottage. We loved the location and the pool. The accommadations were great. We absolutely loved our honeymoon at the Ann Street Cottage. It is the perfect location - the vast majority of places we went were within a 10 minute walk. 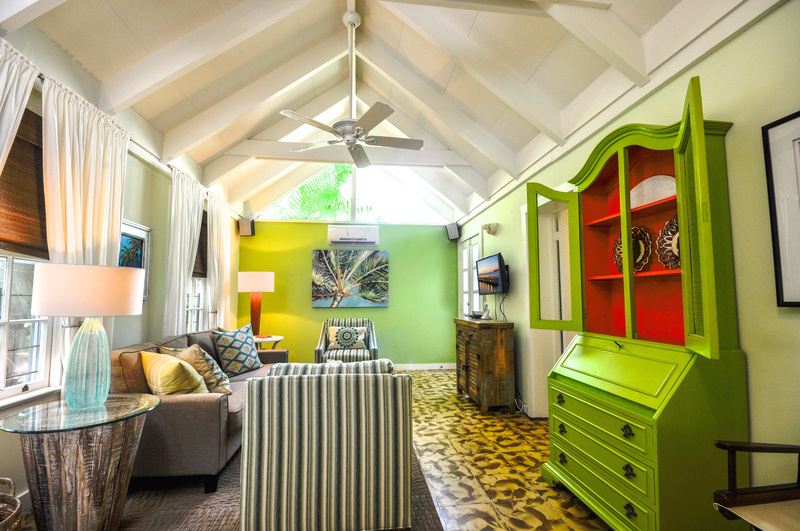 The cottage itself is adorable with a great Key West vibe. It was comfortable, clean, and the air conditioning was great. We really enjoyed the pool - it was warm but still refreshing. And we loved being greeted by the friendly, adorable cat every night! We'll definitely be back! Property was in good shape, clean and most everything worked (exception was right front burner on stove). There was plenty of hot water. Location was excellent - easy walk to grocery (Fausto's), restaurants, sunset pier. Just a block off of very busy Duval St and yet very quiet. Having 1.5 baths was very convenient. Air conditioning was very efficient. We'd definitely stay here again. We stayed in Tranquility (sister cottage) two years ago and loved the location, charm and convenience. That unit though was a bit noisy so we thought staying in one unit back would make a difference with regards to the street noise. It did but unfortunately Ann Street didn't live up to the photographs. We really liked the location but the unit was dusty/dirty, as if it hadn't been thoroughly cleaned the day we arrived. The knick knacks throughout the unit were dusty and the rug in the living area was very dirty. We sent an email to the rental office but never received a reply. We had a great time in Key West! The location of the Ann Cottages was close to all the action and if not we walked to everything. Great way to get our exercise in after eating all the great food! The cottage was very quaint and light. It had everything we needed and if not grocery or CVS was very close. The pool was nice but too many leaves in it. The water was too cold to swim in. Key West is very loud with traffic and parties but the cottage was tucked back enough that we were not effected by it! Overall it was very enjoyable! What a great vacation in the Keys for us snowbirds in Ky! The staff was more than eager to make our stay a great time. 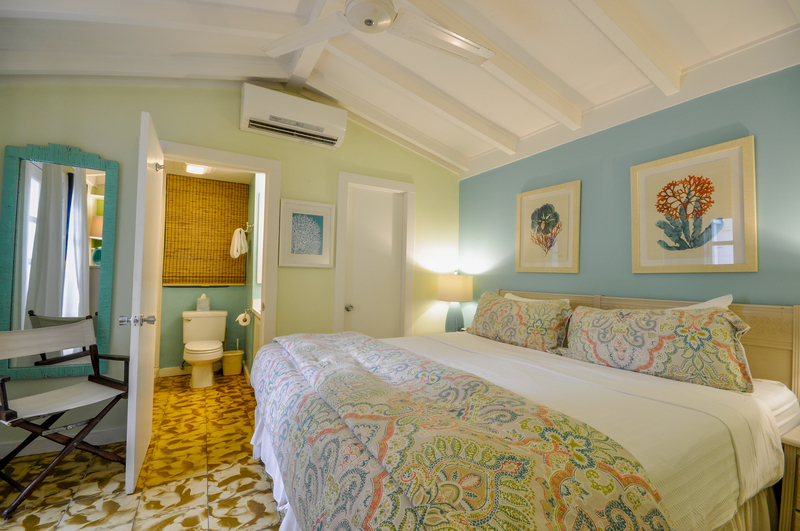 The Ann Street cottage suited us well and is all a couple would need to be just close enough to all of the best bars and eating establishments Key West has to offer but yet quiet at night and very comfortable. We parked the car and never needed it. 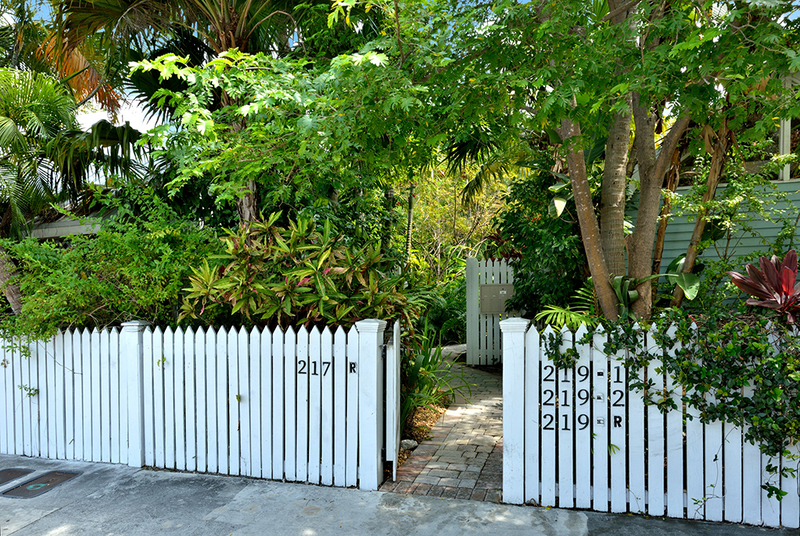 We would highly recommend the Cottage for your next Key West vacation but not on the week we will be there next year! One of the best we've stayed in. In the heart of everything but it's own oasis. Will definitely stay here again. Loved this cottage! Comfortable, soft bed, clean linens and dishes, nice private patio! Perfect location! We couldn't have gotten a better cottage for our wedding weekend! Thank you we will be back!! Being so close to everything in Old town is such and advantage. You are never more then a few blocks from anything you want or need to do. Accommodations are always wonderful. The cottage was very cozy and had all the needed furnishings for a great stay! The cottage was very quiet even though it was one block off of Duval street. Excellent location to get to everything! The rental agency was always available and very helpful through out the vacation. This is our 6th trip to Key West and our second time using Rent Key West. Great communication. The property was better than the pictures. Clean, nicely furnished, comfy bed,... 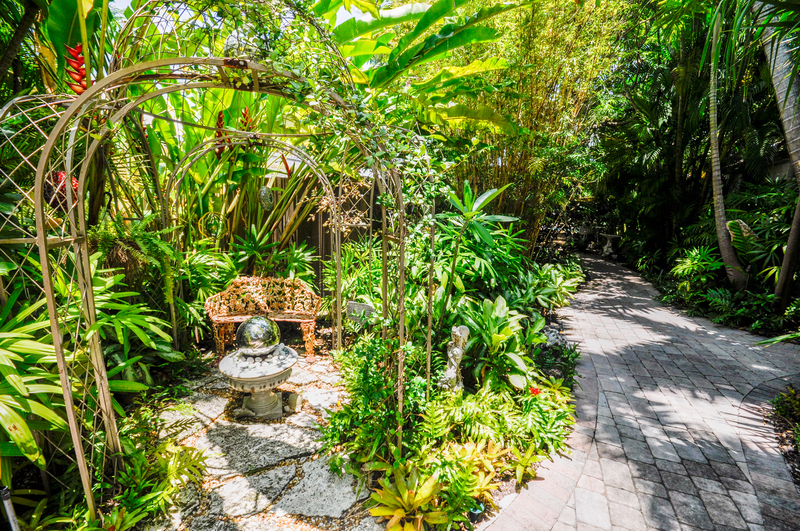 The lush gardens add to the paradise feel. The location is the BEST!!!! Close to Historic Seaport and Mallory Square. No need for a car. Great vacation hideaway, close to Duval Street yet hidden away if you're just looking to relax. Walking distance to everything!! We spent a week here in February of 2016. Previously, we stayed at Bali Hideaway which is in the same compound. Despite being a block off Duval, this compound is amazingly quiet and private. Both cottages were clean, comfortable and furnished more than adequately. We will return. 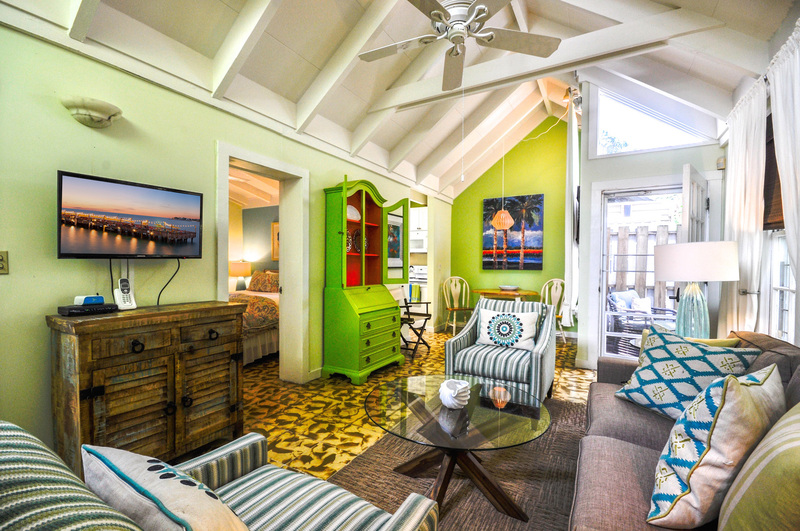 The Ann Street Cottage was a wonderful place to stay while we were in Key West. The location could not be better. Close to lower Duval, but off the beaten path enough to be quiet at night. It even came with a community cat! We found the whole exerience via this agency to be a very positive one. The staff was friendly, and knowledgeable. The house was clean and well equiped. The bed comfortable, stero system much appreciated, and also a friendly cat to pet! The location was outstanding, ideal even, walking access to everywhere! We would consider using this agency again! This was our second time at Ann Street Cottage. The unit is in a great location and is very clean. We will return. This beautiful cottage is just steps away from Sloppy Joes, in fact you can hear the band playing from the pool. 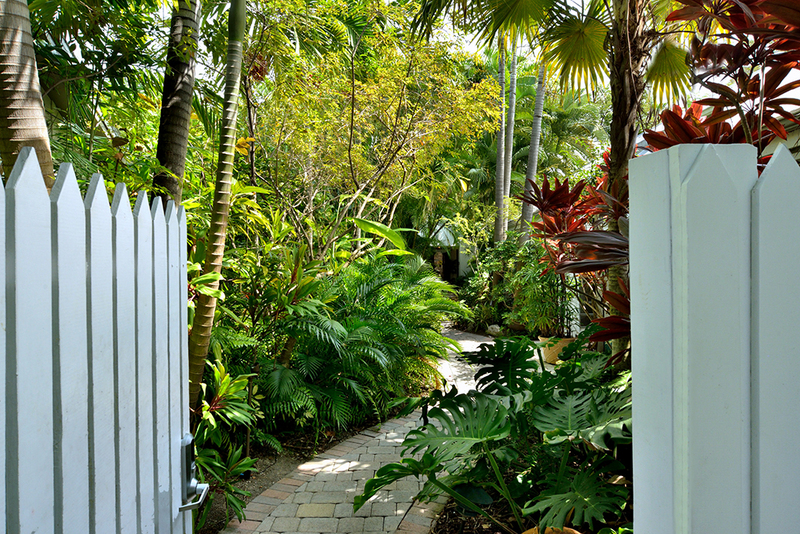 When you enter the gardens you have no idea you are so close to the center of the Key West hotspots. We rented bikes, which I always recommend, but many times we ventured out on foot because everything was so close. This unit has a hidden inside patio that is hidden from view. The pictures as you see then are a perfect description of the unit. Guest before us left behind useful items such as salt, pepper, sugar, coffee, dish soap, plastic cups that look just like the cups used in the local bars, and even some tasty beverages. Our favorite spot was the pool. We almost always had it to ourselves. Most people were out touring the island and this is our 4th trip and we took it real easy. I enjoy staying in a different place for each trip to make them all unique, but next time, I will come back to this same spot, the location and privacy are ideal. We enjoyed a wonderful week in Key West, and staying at the Ann Street cottage was one of the things that made our trip so enjoyable. The cottage is beautifully decorated, is very comfortable, is in a perfect location, and yet is quiet and soothing since it is located within a lush tropical garden right in the middle of it all! I can't imagine staying anywhere else in the Keys now that we've found this wonderful retreat! Just beware that the pool isn't heated and even with unseasonably warm weather this winter, it was cold and not really suitable for swimming. It was beautiful, though, and we enjoyed poolside drinks before dinner! We loved Ann Street cottage. It's so close to Duvall Street yet so quiet. We used the pool everyday and rarely did we have to share it. Walking distance to great restaurants, shopping and the harbor. Cottage was nicely decorated and we didn't find it lacking in any of the things that we needed. Would definitely stay here again and recommend it to our friends. Ann Street Cottage is one block from Sloppy Joes and a couple blocks from the marina. Great place to start your days in Key West. We brought bikes and had a good place to look them up. Laundry was never crowded and easy to do. Pool was shared, but we never had a problem with too many people. The cottage "community" was quiet and nice. We had a great time at the Ann ST cottage. The property was even better than the pictures. We will rent the cottage again! Rental experience was very good. Accomodations were good except not enough hangers in the closet, light wasn't working in the closet and the way they had the wall switch and the lamp switches was awkward-couldn't turn off the wall switch or the clock would go blank. We have stayed at the Ann Street Cottage on earlier visits to Key West and love it. It's got a great location, close to just about everything. Despite being located in the middle of all the action, it is very quiet and private. It feels very tropical and is comfortable. 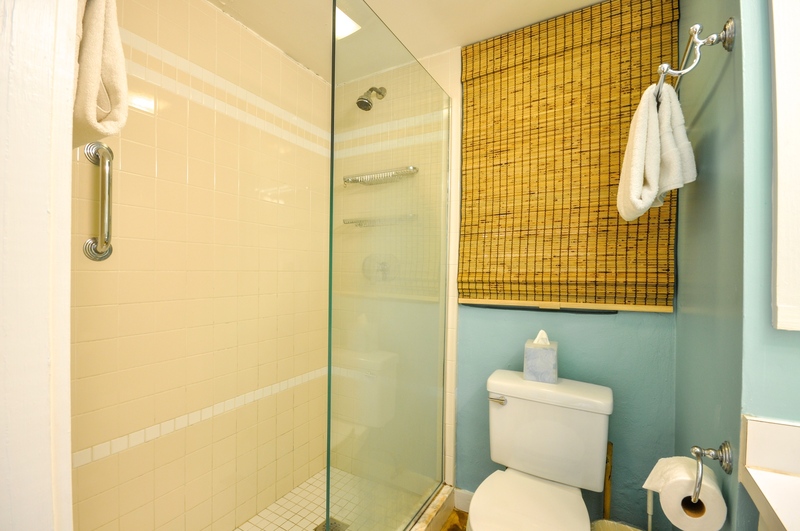 We particularly like the fact that it has two bathrooms. Whether we turned left or right out of our cottage we were close to everything we wanted to see & do during our wonderful vacation. We met wonderful friends, ate wonderful food, saw wonderful sunsets. Couldn't have been a more wonderful trip. Thank you. Great place, well equipped. QUIET as a can be and clean. Only negative is "parking" - there isn't any - so if you rent here, cab it from the airport and rent a scooter or walk! - other than that - don't hesitate its wonderful. If there's a better location in KW, we have yet to find it. A perfect compound. No better location on the island. 1/2 block off Duval, no bikes or transportation needed. Minutes from everything. This was our second trip staying at Ann Street and it is perfect! My husband just returned from a week's stay at Ann Street Cottages, and wish we were still there. Everything was perfect - from the location though right in the heart of Old Town, quiet and secluded, to the coffee left in the fridge - we arrived late in the evening. We could not have asked for anything more. The cottage was spotless and spacious, having 1 and 1/2 baths was fabulous! Minnie the cat greeted me each morning, as did the little lizards and wind chimes. We rented bikes for the week, absolutely no reason for a car as the airport is 10 minutes away by cab. We would HIGHLY recommend this rental. By the way, the Thai restaurant at the end of the block is scrumptious, as was the Cuban Coffee Queen. Can't wait to come back! This was our first trip to Key West-we were there a week. 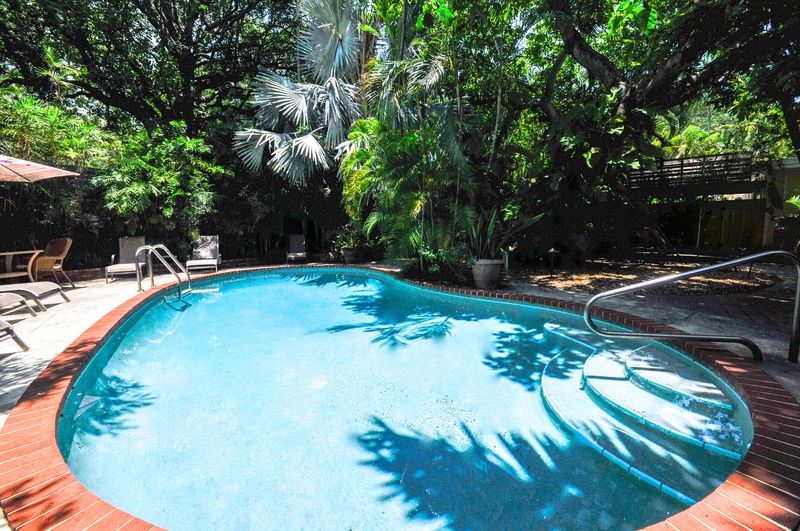 There are no shortage of rental properties available in Key West-but this one was the only one that has such a lovely tranquil mature landscaping and a quiet alcove and pool when one needs a break from Duval Street. The cottage was quiet, and perfectly sized for two. It's centrally located so you can walk everywhere. The cottage also had wireless, and a laundry area next to the pool. The management was professional and efficient. The ONLY draw back was parking which was blocks away. Overall we highly recommend this cottage. Our cottage was very quaint, clean, just needing a few updates. Grounds and pool were pretty and very clean. For being so close to Duval, it was very quiet. Would definitely come back on another visit! We just loved the week that we spend there. 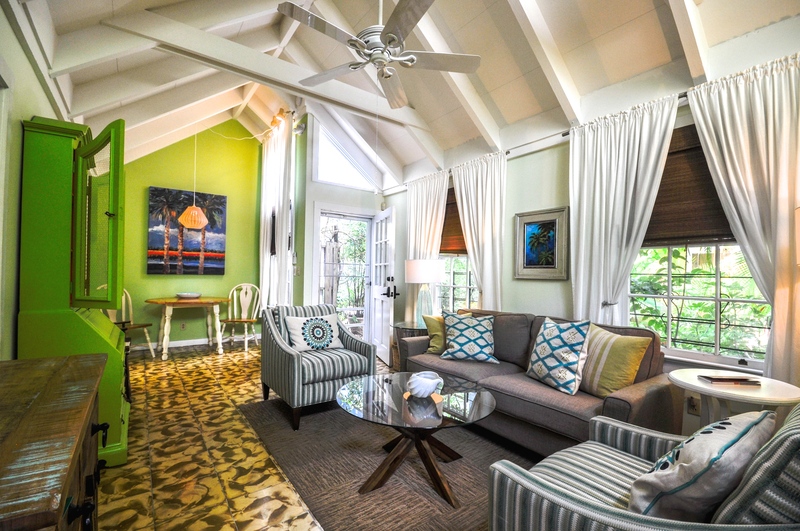 We booked Ann St. Cottage months in advance of the BMI Keywest Songwriter's Festival. We couldn't have been happier with Rent Key West or the property. The location was perfect for the festival. The cottage was clean, well-appointed and decorated just the way we have if it was ours. The garden walk to the secluded pool is wonderful and we almost always had the pool to ourselves. The reservation, billing, check-in/out process was effortless. We will be back! Very clean, cool, quite and best of all was the location. Will definitely stay there again. The entire rental experience from beginning to end was perfect. We came in late and the after hours key pick-up was exactly where they said it would be, no issues at all. We walked in and the place is exactly as pictured online. The location couldn't be more perfect - a block from Duval, close to Mallory, close to the Marina, an electric car rental place a block away. All that close by, but it was quiet, serene, and a perfect getaway. They were flexible with us on check out time because no one had it after us. We loved everything about staying there, worth the value, easy to work with, and loved the place.